Australia has four different species of native or ‘wild’ rice. It’s reddish in colour, highly-nutritious and abundant across flood plains of northern Australia. Wild rice has been consumed by Australia’s Indigenous Population in the Top End of the country for thousands of years. Wild rice is high in nitrogen and phosphorous. Our native rice has attracted growing interest from researchers, Indigenous businesses and restaurateurs who would like to see it more commercialised. Wild rice, distantly related to domestic rice (belonging to the same tribe of plants) is a wild annual aquatic grass native to shallow lakes and streams of north central and North America. Wild rice (Zizania Palustris) was the staple food of the Chippewa and Ojibwa Indians of the region for the last 1000 years. Wild rice was harvested by hand and from canoes. The grain was dried by the sun, ‘danced’ upon in a skin lined hole to remove the hulls, and winnowed clean using the wind and birch bark pans. The American Indian name for wild rice is’Manimin’, meaning good berry. Wild rice was first grown as a domesticated crop by farmers in Minnesota during the 1950s. Since then wild rice cultivation has meant that this gourmet grain is available world wide. 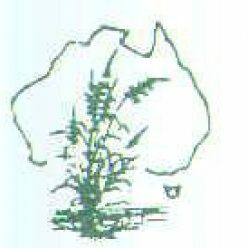 In 1992 wild rice production began in Australia by the Hanson family, who have been farming in southern NSW for over 90 years. Processing of the gourmet grain is done using the latest technology from the USA, and equipment developed in Australia. Australian Wild Rice is the first commercial wild rice producer in the world not owned by North Americans. Wild rice is not only an epicurean delight but is also high in a nutritive value. Studies have shown that wild rice is rich in niacin, thiamine and riboflavin. It contains more high quality protein than wheat, yet wild rice has a low fat content, only 65 calories per 125ml (1/2 cup) serving. Australian Wild Rice is grown without pesticides in artificial ponds. No chemicals are used in the processing of the grain or in it’s storage. And is GM free. Australian Wild Rice is grown using the most advanced agronomy practices available. Wild and white rice salad, wild rice mushroom caps and rolled roast lamb with a wild rice and orange seasoning.